Though Golden Harvest were to take kung-fu comedy to its apotheosis in the late 70s/early 80s, the Shaw Brothers’ studio had a few good attempts to have a slice of the success of its rival. While the sheer amount of films churned out by them to capture this Zeitgeist meant there were more than a few insipid efforts, there were some significant contributions to the newly-heralded sub-genre. ‘The Fighting Fool’ is one such praiseworthy effort by the legendary studio and it certainly deserves the wider exposure its pristine re-release will afford it. 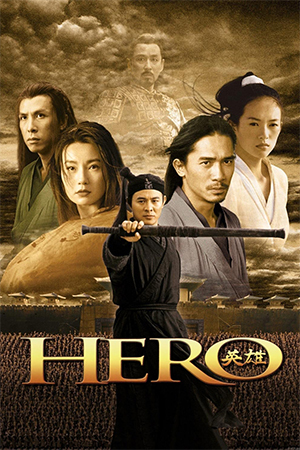 Impudent young would-be hero Meng discovers that his teacher – who he continually tries to outwit – has become embroiled in a contest for ownership of the clan’s sacred staff. His bitter rival, Eagle, marches to their secluded home to demand the object and, with his brutish lackies, beats Meng up and kidnaps the teacher. Despite nursing his wounds the youth sets out to save his master and discover the location of the valuable staff, ignoring the overwhelming odds he faces. Along the way Meng accidentally apprehends a robber only to later enlist his help when the task of taking on Eagle’s collection of thugs proves too daunting. What follows is an oddball crusade by the uneasy allies and the eventual showdown with the all-powerful supervillain. 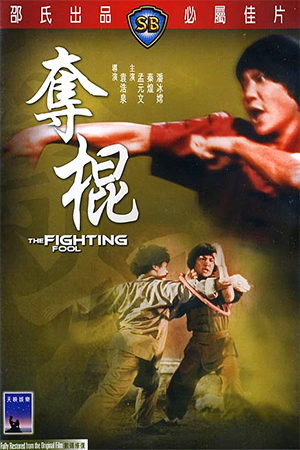 ‘The Fighting Fool’ is that rare thing of a kung-fu comedy where both parts of the equation are of nearly equal strength. More often than not, the latter part of the formula is thrown onto the screen in a needlessly slipshod manner that makes the often modest duration seem like a polar night. 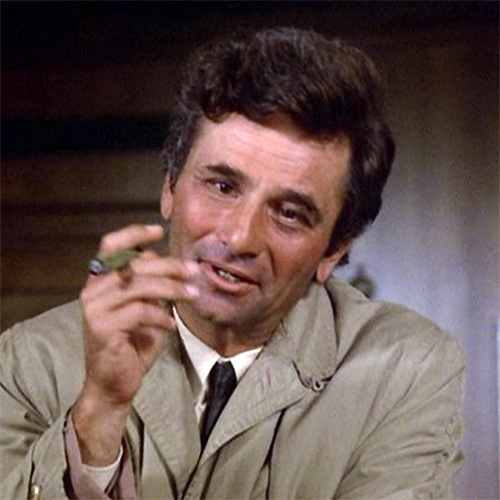 Such films are usually packed with unwanted scenes that have nothing to do with any other part of the story and mostly feature the same well known supporting actors mugging throughout. 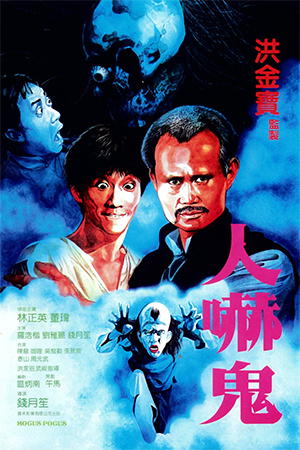 Patrick Yuen does not completely escape this curse – there is one notable sequence that appears just to pad out the running time – yet ‘The Fighting Fool’ is still enormous fun. 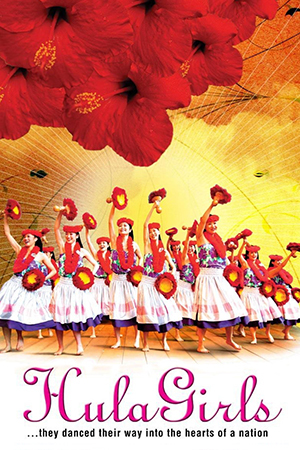 Hsu Hsia’s exceptional choreography is given centre stage thanks to a very capable cast – particularly Meng Yuen-Man who looks more impressive here than he has ever done before – and a desire to make each fight sequence that bit different from the last. This means that, despite the hero and main adversary having more than a couple of action scenes together, they do not become repetitive or sluggish. That all important ‘wow factor’ that genre films need to have in order to differentiate themselves from the crowded marketplace is here in spades. Ultimately, ‘The Fighting Fool’ is so captivating because, alongside the superlative action, there is a real chemistry between the two leads. 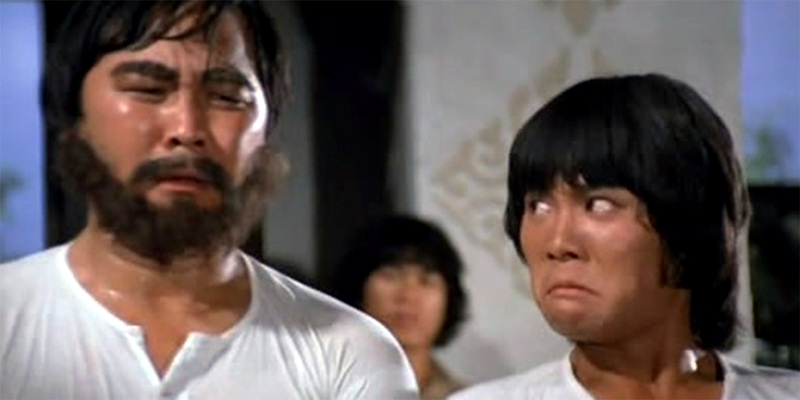 It almost seems to be the Shaw Brothers’ equivalent of Yuen Biao and Leung Kar Yan in ‘Knockabout’, a double-act that may last only half the duration of the Golden Harvest classic, but still makes the production move along at a blistering pace. The buddy kung-fu comedy is akin to capturing lightning in a bottle at the best of times, but Patrick Yuen succeeds with aplomb, allowing the pair to double-cross one another while still showing them to have become good friends by the end. The uneasy partnership generates a frisson that helps the comedy to hit its targets while the admittedly shallow storyline becomes more substantial as a result. 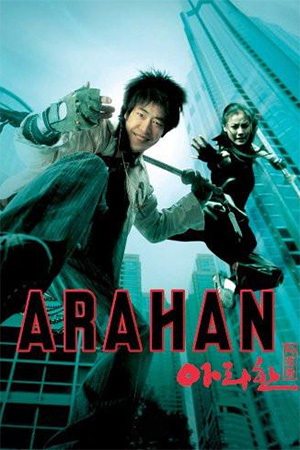 This Shaw Brothers’ film may be saddled with an uninspiring title, but its one of the studio’s hidden gems.